A&E | No Holds Bard: DVD shelves are filled with imaginative takes on Shakespeare. 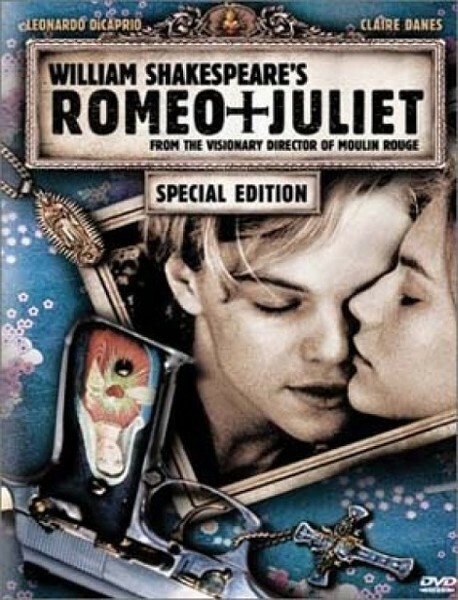 For straight-up Bard that’s not staid, nothing beats Baz Luhrmann’s William Shakespeare’s Romeo + Juliet (1996), a stunning adaptation of the playwright’s best-known love story, starring Leonardo DiCaprio and Claire Danes. Luhrmann keeps all of the writer’s language but sets the tale among warring mob families in contemporary Miami. Striking modernizations—the chorus asides become TV news reports, for one—highlight how modern and relevant Shakespeare remains. See also: Kenneth Branagh’s 1993 Much Ado About Nothing. This mounting of the romantic comedy, set in a Tuscan villa, positively beams with sunshine and laughter and romance. Oh, and 2000’s Hamlet, finds Ethan Hawke famously delivering that “to be or not to be” soliloquy while wandering the aisles of a video store. Turning Shakespeare’s tragedies comic is almost a subgenre in itself. The Lion King, though not without its sadder moments, is essentially Hamlet on the Serengeti—and it’s a musical, too. 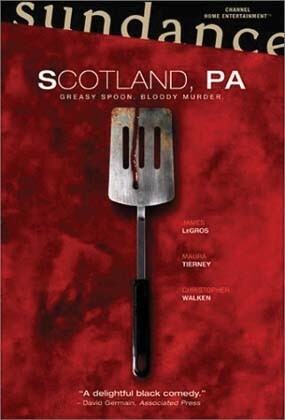 Scotland, PA (2001) offers Macbeth done up comic-style; the action revolves around a small-town burger joint in the 1970s, and it’s hilarious. Maura Tierney may well be the most devious Lady MacB ever, and she’s certainly the funniest. nKeeping the Bard’s comedies comic and transferring them to modern times is another standard. Ten Things I Hate About You (1999) is The Taming of the Shrew set in high school. Kenneth Branagh pulls off another Shakespearean coup with his Love’s Labour’s Lost (2000), when he demonstrates again how fresh and timeless Shakespeare still is by interspersing 1920s and ’30s pop tunes with the romantic topsy-turvy, resulting in some of the most dramatically entertaining juxtapositions you’ll find on film. When lovesick Berowne segues from “And when love speaks, the voice of all the gods / Make heaven drowsy with the harmony” directly into a chorus of “Heaven, I’m in heaven”... well, it’s one of the greatest movie moments ever. What is it about high school that feels so Shakespearean? In 2001’s O, the machinations of Iago and Othello are transferred to a high-school basketball team in the American South, where racial animosity runs high yet stays hidden until sexual jealousy drags it out. The young cast is spectacular: Julia Stiles, Mekhi Phifer, and Josh Hartnett (in a performance that proves he can act, it’s just that he mostly doesn’t bother). Moving the tragic action works well, too, in King of Texas, a 2002 TV movie, that puts King Lear in the frontier American West. Patrick Stewart plays a wealthy rancher, with Marcia Gay Harden as one of his scheming daughters. Shakespeare fan fiction? The classic is Tom Stoppard’s play Rosencrantz and Guildenstern Are Dead, which became a fantastic movie in 1990. Tim Roth and Gary Oldman star as Hamlet’s homies in a story that asks the question, “Just what do the Prince’s pals get up to when they’re offstage?” The answer: A lot of philosophizing about the meaning of life. Coming soon: a vampire spinoff of this Bard spinoff titled Rosencrantz and Guildenstern Are Undead, perhaps the Best Movie Title Ever but sadly still without distribution, never mind a DVD release. The Bard himself gets to star in his own Romeo and Juliet-style tale in 1998’s Oscar-winning Shakespeare in Love. It’s all fictional, of course, and bears little resemblance to the writer’s actual life, but what the hell. This is a delightful story, however invented, not just about the creation of one of his plays but about how life influences art. And what would Bardish fan fiction be without a transformation into science-fiction, the genre that invented fan fiction? Forbidden Planet (1956) is The Tempest in space... sort of. What more do you need? OK: They turned the sprite into a giant robot. The Bard doesn’t get much cooler than that.